Cameras Roll on DUNE from Denis Villeneuve! 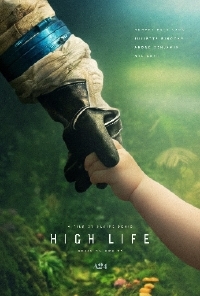 French auteur Claire Denis' sci-fi drama High Life starring Robert Pattison will get a release this year from A24. The studio released the film's first domestic poster today and announced the first official trailer will premier on Wednesday of this week. The film preiered last year to a divisive response which should come to no surprise to anyone familiar with Denis' work. Go watch Trouble Everyday and tell me its a crowd-pleaser. Check out a short teaser for the film below.